The Indian Army and Border Security Force personnel did not exchange Eid greetings and sweets with their Pakistani counterparts along the borders in Jammu and Kashmir on Saturday. “The exchange of sweets between the Indian and Pakistan Army on the sacred occasion of Eid stands cancelled,’’ said an Army spokesperson in a statement here. Sources said there was no exchange of sweets between BSF and Pakistan Rangers along the international border in Jammu and Kashmir. There was no such exchange on the Attari-Wagah border as well. 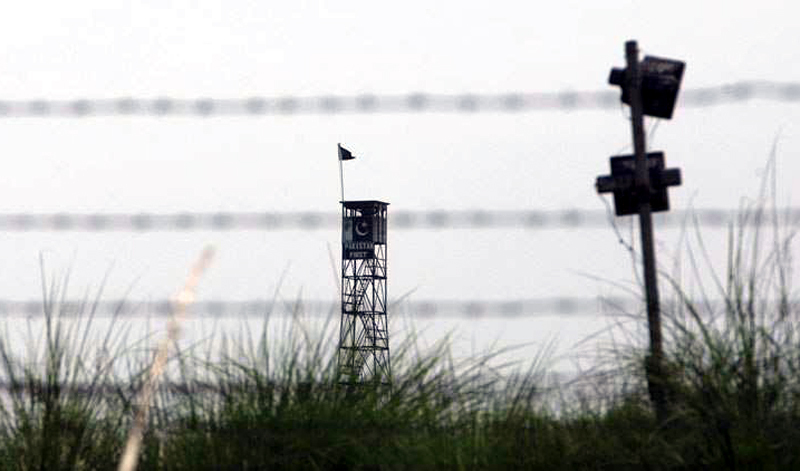 The situation was already tense along the international border, especially after the death of four BSF personnel in Pakistani firing in Ramgarh sector on the night of June 12. The ceasefire violation had come days after the BSF and Pakistan Rangers held a flag meeting on June 4 and agreed to maintain the ceasefire. The immediate provocation for not exchanging sweets along the LoC appeared to be the killing of a jawan in Rajouri district’s Nowshera sector during unprovoked mortar shelling from across the border Saturday. Identified as rifleman Bikas Gurung, 21, from Khunka Khuki village in Manipur, he was deployed in Lam area, sources said. An Army spokesperson said, “Pakistan Army initiated unprovoked and indiscriminate firing of mortars on routine Indian Army patrol 700 m inside the Indian territory’’ on Saturday morning. In the exchange of fire, rifleman Bikas Gurung was grievously injured and succumbed to his injuries, he said. “The unprovoked ceasefire violation by Pakistan, especially on the occasion of Id ul Fitr, is highly unethical and unprofessional,’’ he said. “Our troops have exercised maximum restraint in spite of grave provocation. However, Indian Army has been forced to respond to the unprovoked firing and will give a befitting response at the time and place of own choosing. ” Pakistan’s DGMO had on May 29 called his Indian counterpart on the hotline. Both DGMOs had agreed to fully implement the 2003 ceasefire agreement. BSF and Pakistan rangers had last exchanged sweets on Diwali last year.